This weekend I was incredibly honored to have pro hockey star Dustin Penner, join me as a guest reviewer for Ma’amCakes. In 2007 during his first full season with the Anaheim Ducks, Dustin and his team brought home the Stanley Cup. 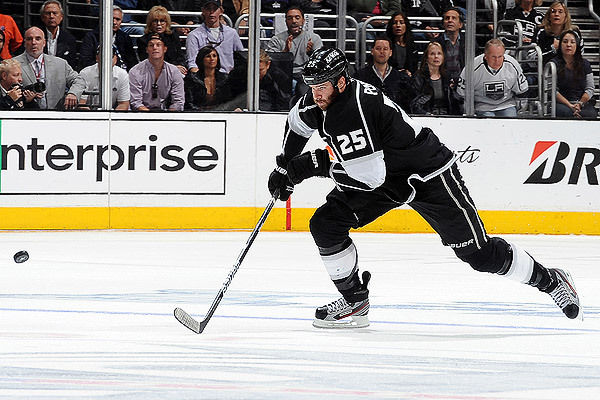 After getting traded to the Los Angeles Kings a few years later, Dustin scored a game winning goal in 2012 which landed his team in the Stanley Cup finals; on June 11, 2012, the Los Angeles Kings beat the New Jersey Devils, awarding Dustin his second Stanley Cup victory. Needless to say, this was a hockey player with whom I had to get my puck on. Flash forward more than one year later, I took a Sunday morning drive down south to Costa Mesa, California to brunch with Dustin over some good ol’ fashioned pancakes. 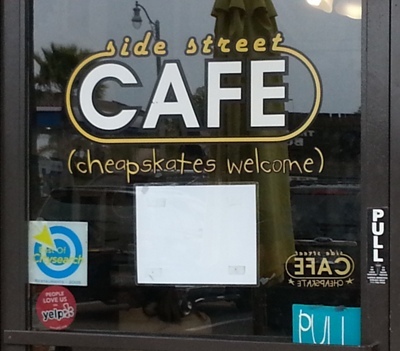 At the request of Dustin (and considering I’d never been to Costa Mesa), we visited local spot, Side Street Cafe, located on Newport Boulevard and 18th Street. Based on its door-verbiage, and Yelp and CitySearch love, I knew I was going to like this place even before viewing the menu. Just like its menu, the Banana Pancakes from Side Street Cafe felt like home. The bananas were super fresh, and the pancakes were baked to perfection. “The Banana Pancakes are excellent,” said Dustin. “I love that they have great banana dispersion. Also, because the bananas are evenly sliced, they don’t overwhelm the rest of the pancake, and you get the same consistency.” Good point, Dustin! When asking Dustin if there were any additional pancakes he’d like to see on the menu, his number one choice was Peanut Butter Pancakes. Hey Side Street, new menu item perhaps? As we were wrapping up breakfast, Dustin suddenly had one more thing to add. “Oh, I also really like the texture. The pancakes are soft enough to eat, even with my fake tooth.” Hearing this did make me giggle. But, then I remembered that we are in LA – most people here are sporting something that’s fake! 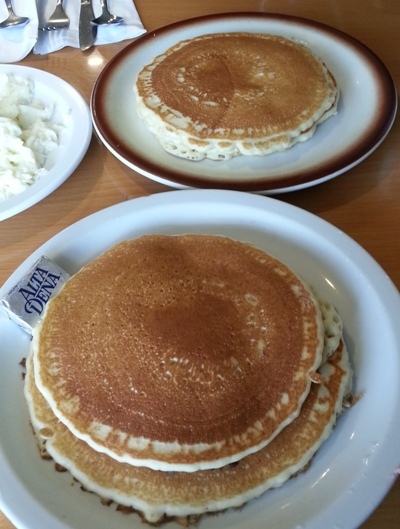 Overall, the pancakes at Side Street Cafe were delicious; some might even say, they’re fit for a King. Thank you so much, Dustin, for being a part of Sunday brunch with Ma’amCakes! 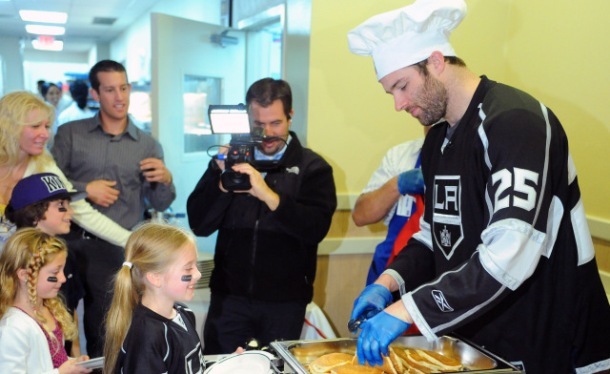 For more information about the Kings’ charity, The Kings Care Foundation, click here.